Last orders for NYE are at 10pm tonight on ASOS and if you are anything like me then you haven’t the foggiest of what to actually wear. Admittedly I kinda hate NYE. Overhyped and over rated but for the first time in a long time I'm actually doing something this year! Im going to a emo/pop punk/alternative club night so I’m probably going to opt for a lace shirt or embellished collar with jeans type affair. I want to look nice and dress like me despite it being a bit not being out out. Gotta have a little bit of glitter or something at New Year! some gorgeous picks here, i love your bag!! Oh my gosh! These are some gorgeous outfits!! Love the bag!! THAT GLITTER THO. Love it. That glitter clutch is so amazing! That bag is amazing! I'm not the biggest fan of NYE either but I do love an excuse to wear glitter and sparkles! Great outfit picks! I especially love the sequin clutch! I think NYE is way overhyped as well, it's just another excuse to go out and get drunk aha! I love that mermaidy sequin bag! That glitter clutch is beautiful! I loved all of the ideas, keeping it simple and classy is my favorite way to dress up for the holidays! 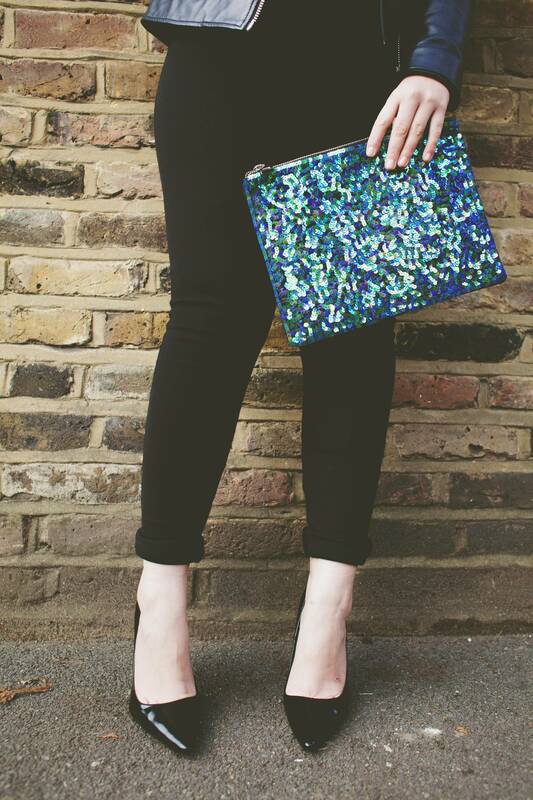 Absolutely adore that sequin clutch! i just posted my top 14 products of 2014 which id love for you to check out! What a lovely glitter clutch! You look so stylish ! Love the clutch so much ! That clutch is a BEAUTTTT! Love it, and the heels too! I think the glitter bag is such a nice touch haha it definitely screams "NYE"! I agree, NYE is far too hyped up! 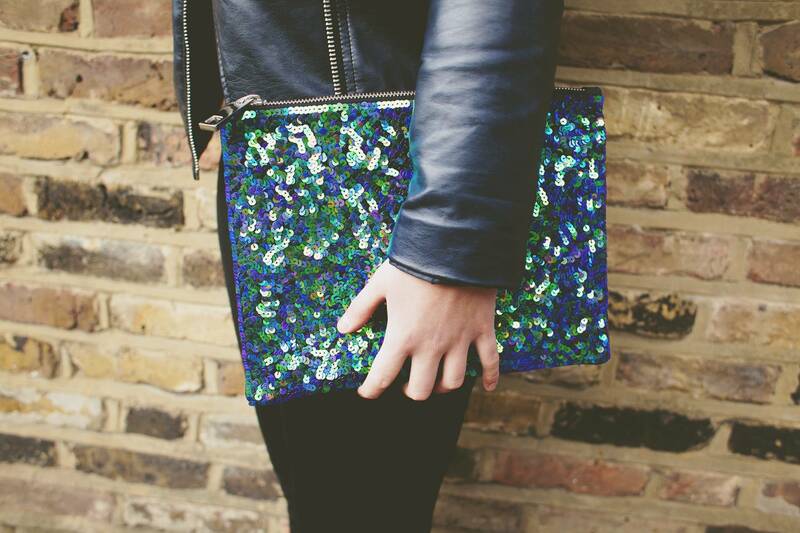 The sequin bag is lovely, it reminds me of the sea! Every time you post a picture of that bag I swoon, it's just so gorgeous! ALL THE DRESSES! I definitely love the 1st and 4th pieces, such statements! The mermaid clutch is beyond stunning and such a lovely piece for New Years! Great post :) Happy New Year! Such a pretty outfit~ Love the clutch bag! love your bag! and your last minute outfit ideas! Love your clothing !! Simply amazing ..
Nice Outfits really. But I liked the one in leather jacket. good writing sense i read many post and very few of them inspired me much because those post writing style is great. She wear awesome outfits i really like this. WishesChoice is the perfect platform for you if you are looking for some great wishes-ideas. We mainly focus on it to produce as best as possible to help you prepare a crispy wish on a special day, event, occasion etc. The QuotesPatio is blog to provide the most extensive collection of quotes on each and every topic of life, which can relate with you either its from some famous authors, movie or even tv shows. We aimed to present all of that under one umbrella. unlike others we are more specific towards special situations and feelings. If you do not like to see men round frame Cheap Oakleys, there are other options. Frame view of a large square and rectangular optical frames men, all good options. In addition, the frame must remember that black men are very fashionable Oakley Outlet this season.